Steven Pinker is professor of psychology at Harvard University (Photo by Steven Pinker (Rebecca Goldstein) [CC BY-SA 3.0], via Wikimedia Commons Wikimedia Commons). The two men do believe climate change is caused by human action. They contend that burning of fossil fuels to produce electricity by humans – resulting in carbon dioxide being sent into the atmosphere – causes a rise in the earth’s temperature. There are growing numbers of scientists who disagree. But, unlike most of the would-be banners of fossil fuel, Goldstein and Pinker’s solution doesn’t target its use in generating electricity. They thereby separate themselves from environmental extremists who insist that the carbon dioxide byproduct of burning coal and oil to produce electricity is a hazard serious enough to ban the practice. Then they present a strong case for nuclear power. Here’s how these two educators addressed this topic: “Nuclear power is the world’s most abundant and scalable [reachable] carbon-free energy source. In today’s world, every nuclear power plant that is not built is a fossil-fuel plant that does get built…. Yet the use of nuclear power has been stagnant or even contracting.” Their point, of course, is that by not relying on nuclear power, the need for burning coal and oil cannot be avoided if electricity is needed – which it surely is. They then make the point that solar and wind power amounts to a mere one percent of the need and cannot be counted on to meet the needs for electric power. Aware of the fears surrounding nuclear power, Goldstein and Pinker point out that 2011 Fukushima accident in Japan killed no one. But, they note in sadness, it unnecessarily led Germany to shut down some of its nuclear plants. In France where nuclear power produces three-quarters of the nation’s electricity, environmentalists are forcing a shutdown. And the anti-nukes in America also wrongly claim that Japan’s nuclear accident is reason to abandon nuclear power here. America should turn to nuclear power for its electricity. We are grateful to Messrs. Goldstein and Pinker for saying so. House Votes To Keep Syrians From Entering U. S.
On November 19th, the House of Representatives voted 289 to 137 to block Syrians seeking entry into the U.S. The bill requires that the FBI chief, the head of the Department of Homeland Security, and the national intelligence director confirm that any Syrian seeking entry is no threat to our country or its citizens. Approximately 50 Democrats supported the measure despite the President’s strong opposition. U.S. Senator Harry Reid (D-Nev.) (Photo by United States Congress [Public domain], via Wikimedia Commons). The Senate will consider the matter in early December where it faces more opposition among those loyal to President Obama. Senate minority leader Harry Reid (D-Nev.) told fellow Democrats, “Don’t worry. It won’t get passed.” He appeared more concerned about defending President Obama’s oft-repeated desire to open the gates to 10,000 Syrians than he is concerned that any might be terrorists who would do harm to Americans. The President has repeatedly stated his desire to welcome as many as 10,000 refugees even though the vetting process for incoming refugees is questionable. House minority leader Nancy Pelosi (D-Calif.) claimed that the President would veto the bill if it ever reached his desk. In a televised interview, Congressman Peter King (R-N.Y.), a member of the House Intelligence committee, forcefully declared, “There is no vetting as a practical matter. What the President is telling us is not true. We can’t vet the refugees. Unless we know who they are, we cannot allow them in.” Even while travelling in Asia, President Obama took to Twitter to repeat to his 5.1 million followers his determination to “provide refuge to at least 10,000” who are fleeing the war in Syria. Meanwhile, the governors of more than half of the United States have declared that they would not admit Syrian refugees. They have expressed a lack of confidence in the screening system, saying it would not sufficiently detect and bar entry to potential terrorists. Their defiance could end up as a struggle between the growing power of the President and the shrinking power of states rights. While the matter is high on the list of concerns facing Congress, officials in Honduras arrested five Syrian men who had arrived in their capital city via a commercial airline. The five possessed bogus Greek passports. The Honduran officials noted that these men intended to enter the United States through our country’s porous border. While the U.S. continues its military offensive of “spreading democracy” across the world, the threat of terrorism continues. And with the threat comes the opportunity for the federal government to take away further freedom from its citizens in what Benjamin Franklin called trading liberty for temporary security. The President’s campaign to get Congress to approve the Trans-Pacific Partnership (TPP) is obviously in need of help. So President Obama gathered several former secretaries of state and national security advisers to a White House confab to get their assistance. The President promotes the sovereignty-robbing TPP agreement at an undisclosed location (Image by Electronic Frontier Foundation [CC BY 3.0 us], via Wikimedia Commons. The invitees to the White House included Henry Kissinger, James A, Baker III, Madeleine K. Albright, Colin Powell, Brent Scowcroft, Stephen J. Hadley, and William S. Cohen. There were others of course, but we named these seven because they’re all members of the New York-based Council on Foreign Relations. Expecting these CFR members to warn of the danger to our nation’s sovereignty posed by the TPP is akin to expecting the sun to rise in the west. This is precisely the route toward the long-standing goal that has been carried out by a succession of U.S. leaders for decades. America will be persuaded to give up its sovereignty piecemeal via trade agreements, military alliances, environmental pacts, banking agreements with the IMF and World Bank, and more. The individuals named above are aware of the CFR’s plan. They are globalists who have made war on America’s hard-won independence, and they will continue to do so. That is why President Obama sought their assistance in getting the TPP approved by Congress. The TPP’s text has now been published. It calls for a commission to oversee all of the projected activity among the 12 TPP member states it would dominate if formally created. This is precisely how the European Union has been constructed and its member states are now more subservient to the EU Commission than they are independent nations. And the EU is already subservient to the United Nations. Our nation’s independence will be severely impacted if Congress approves this pact. It’s another step along “the hard road to world order” so boldly recommended by the CFR 40+years ago. The above-named CFR members will not advise the President to scrap his plan to have the sovereignty-cancelling TPP rejected. That will be up to Congress and the American people. Much has been written about the totalitarian government ruling China. As examples of the horrors following acquisition of absolute power by a cadre of criminals, the nation’s brutal twists and turns over the past six decades regarding population should never be forgotten. The kind of power they illustrate should frighten any sensible individual. 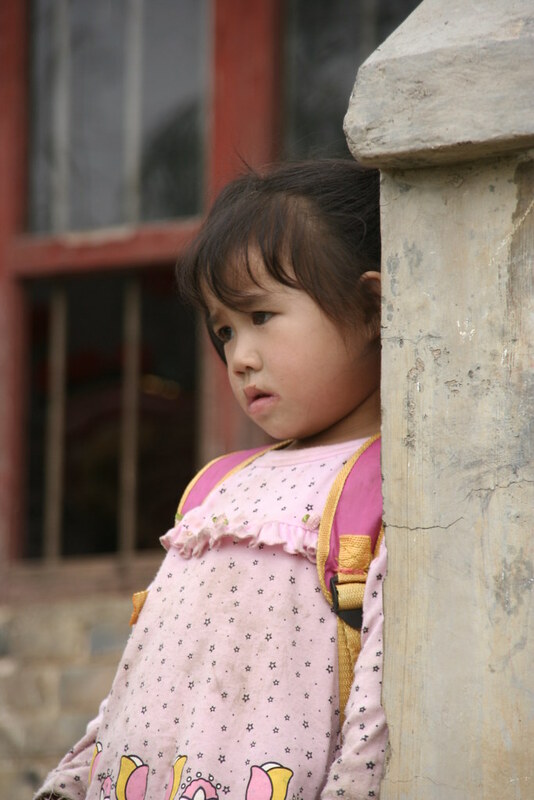 China has an one-child policy (Photo from Flickr by Anja Disseldorp, some rights reserved). The Chinese people fell under Communist control in 1949. Their new leader, the mass murdering Mao Zedong, initiated a reign of terror that saw government liquidate between 15 and 30 million Chinese people over the next ten years. Because he also wanted recruits for the People’s Liberation Army, Mao then encouraged families to produce more children who could, in time, beef up his army and boost the number of laborers. Having successfully eliminated the potential for internal uprisings, he encouraged younger Chinese to produce larger families for all of his needs. He even forbade abortion and outlawed using contraceptives. The population soared past one billion in three decades. Mao died in 1976 and Deng Xiaoping soon inaugurated a new family policy. Emphasizing economic growth, the new Chinese leader initiated a cap on population. Each family was now allowed only one child although some exceptions were made if the firstborn turned out to be female. Couples had to obtain a permit to bring a child into the world. Those who accepted the mandate and produced only one son or daughter were frequently given preferred housing and other awards. Ruthless state jurisdiction enforced the one-child policy with forced abortion and infanticide. Estimates place the number of infant victims at 400,000. And sterilization became the fate of women caught with a second child. Especially were female infants targeted by the one-child rule. Today, as many as 30 million young Chinese men face the real possibility of being unable to find a woman to marry. Some have actually gone to South Korea, kidnapped a female, and brought her back to China. Add to these outrages brought on by the totalitarian regime’s social engineering are China’s aging populace and shrinking labor pool. Faced with these new difficulties, Chinese officials recently decided to allow families to have a second child. Not a third or more of course! Some China watchers mockingly wonder now if there will be fines for those who have only one child. Others wonder if childless couples will be jailed. There is hardly any right more basic than marrying and building a family. China’s rulers throw a dark blanket over this right. Anyone claiming to be an advocate of freedom should have nothing to do with such totalitarian monsters – and that includes the leaders of our own government who regularly treat them with undeserved respect. The following is the first chapter of “Changing Commands: The Betrayal of America’s Military,” written by John F. McManus and published by The John Birch Society in 1995. In observance of Veterans Day 2015, we offer this as an opportunity to reflect back 20 years on the observations of Mr. McManus to see the progress made on such an insidious agenda of changing the role of America’s armed forces. The book is available at ShopJBS.org. Any person who joins the armed forces of this nation swears an oath to the U.S. Constitution (Photo by The U.S. Army Sgt. Michael J. MacLeod (Marksmanship training) [Public domain], via Wikimedia Commons). Any person who joins the armed forces of this nation swears an oath to the U.S. Constitution. Traditionally, virtually all who put on the uniform of this nation’s military have served with singular honor, in keeping with the understanding that their total mission was to protect the lives and property of the people of this nation. Maintaining the sovereignty of the United States of America has always been a fundamental part of that mission. Except for the War Between the States, for more than two centuries, our military forces have operated from the belief that America’s only enemies are outside our borders. It is difficult for a military professional, even more so than the average civilian, to conclude that an enemy lurks within, and especially within the military itself. Yet, this is the reality in America today. Our fighting men went off to the Pacific after Japan attacked Pearl Harbor on December 7, 1941. More men went off to Europe when Germany declared war on our nation a few days later. Why? Because our nation and its people — the families of these men included — were threatened by a foreign enemy. There was a need to fight to insure that our nation would remain free and independent. Lately, however, the military’s role has been significantly altered to include a new category of national responsibility, that of protecting the undefined “vital interests of the United States.” That phrase is broad enough to cover just about anything a President might want. And recent Presidents have employed this very phrase to justify dispatching troops to the far corners of the earth and to use them to enforce resolutions of the United Nations. This is dangerously wrong. America’s Chief Executives have in recent years told the people that our “vital interests” call for injecting U.S. military might — under UN auspices — into an attempted takeover of one Arab nation by another, a civil war in faraway Somalia, a centuries-old territorial struggle in the former Yugoslavia, and a totally domestic fight for leadership in Haiti. Practically everything on earth has become a U.S. concern — but always under UN jurisdiction. No matter what the President says, however, such missions are not constitutionally authorized. Any American who feels compelled to defend one side or another in any of these conflicts is free to volunteer his or her own services, but not free to force others to participate or to pay with tax dollars for such ventures. The U.S. military was not created to be a mercenary force for sale to the highest bidder. It is not supposed to act as a worldwide service club performing good deeds around the globe. And no President has the legitimate authority to make our armed forces available to a world government. The U.S. military is a taxpayer-supported force whose role is limited by the Constitution of the United States to the defense of the lives and property of our people and the independence of our nation. Over the years, Congress has allowed some fundamental and frightening changes regarding the military. Resistance to this steady transformation — both in and out of the services — has been slight, or at least not reported. So the changes have been accepted and various steps along this suicidal route have become U.S. policy. Unless such dangerous policies are reversed, they will result in the conversion of our nation’s armed forces into a full-fledged UN military force. And the American people will see an end to their freedom. After the text of the May 10th survey at the Twentynine Palms Marine Corps base had been confirmed by one of the Marines who was forced to participate, information about it appeared in The New American magazine. Military officials who were questioned about it quickly insisted that the project was the sole work of its creator, Navy Lieutenant Commander Guy Cunningham, a master’s degree student at the Naval Postgraduate School (NPS) in Monterey, California. They said his project had no official status, and that they were simply helping him so he could write his thesis. So, the Department of Defense (DOD) has indeed been directed by presidential decrees to create the kind of force structure the survey discussed. According to the NPS release, DOD has also been given presidential directives to alter the military’s “command and control structure” to include a role for the United Nations. All of this, as we demonstrate in chapter 3, is leading our nation to a condition of having no military force except that which serves the UN. A reporter for the California-based publication F&H News interviewed Lieutenant Commander Cunningham, who maintained that the idea for his survey came from “a magazine article dealing with President Clinton’s apparent willingness to place U.S. military combat troops under United Nations command.” Cunningham did not name the magazine, but his assessment of Mr. Clinton’s “willingness” was deadly accurate. Cunningham emphatically insisted that he merely intended to discover how Marines felt about being assigned “non-traditional” roles. He had obviously become aware of the revolutionary changes being foisted on our military. Even if his claims about his motivations are completely honest, Marine Corps senior officers should never have allowed him to proceed with such a survey. It couldn’t help but undermine morale, patriotism, and the ultimate effectiveness of the troops. But senior officers did allow the survey. At some higher levels in the Marine Corps, it is now considered acceptable to have Marine Corps personnel think about all kinds of “non-traditional” roles, including assignments in which they would fire on U.S. citizens. In other words, Marines are being programmed to accept assignments that no one wearing an American military uniform should ever be forced to accept. They are even being led to transfer their loyalty to the United Nations. –In June 1993, the U.S. Army issued FM-105 Operations, a document outlining a new emphasis on “conducting operations other than war.” An entire chapter of this new set of guidelines dwells on peacekeeping missions, humanitarian assistance, disaster relief, riot control, and relations with nations in need of democratic assistance. The document’s declaration that “the Army will not operate alone” indicates that the other services will participate in the new assignments. By issuing a blank check committing U.S. troops to the U.N. under foreign command, you would in effect be making U.N. initiatives U.S. commitments, and U.N. conflicts U.S. conflicts, while forfeiting the leadership of the troops on the ground. The planned transfer of control of our own military had begun to become obvious to some members of Congress. –On October 5, 1993, Senator Trent Lott (R-MS) saw a larger and more sinister motive in the President’s directives. He stated: “The Clinton Administration appears dedicated to sending the U.S. military into dangerous seas of multinational peacekeeping in an effort to elevate the status of the United Nations into a guardian arbiter of the new world order … [with] a new world army whose singular purpose is to enforce the whims of the arcane United Nations Security Council. The Administration’s effort to create a new vision for the U.S. military is embodied in … PDD-13.” Senator Lott hit the nail right on the head. His side-by-side use of the phrases “new world order” and “new world army” indicates that he fully grasps the all-encompassing seriousness of the President’s plans. –On May 3, 1994, President Clinton signed Presidential Decision Directive 25 (PDD-25) and immediately classified it “secret.” Simultaneously, National Security Adviser Anthony Lake (CFR) released an official “summary” of the document. It states that U.S. military forces can be placed under foreign command in UN operations “on a case by case basis.” If the “summary” admits this much, it seems clear that the document itself must contain even worse plans and directives for the misuse of the military. Why else keep it hidden from the public and even from Congress? Thanks in part to this betrayal from the top civilian and military leaders of our armed forces, the measure was defeated in the House by a vote of 237 to 185. Which means that most members of the 1994 Congress, along with the nation’s highest military officer, see nothing wrong with having foreign commanders in UN operations issuing orders to American forces. –A July 18, 1994 press release from Camp Pendleton Marine Corps base reported that a detachment of Marines and Navy personnel from Southern California would undergo “urban training” near Sacramento, California. The July 23rd-August 3rd TRUE (TRaining in an Urban Environment) program would prepare a military unit to become “America’s quick reaction force to safeguard this country’s citizens, property, and interests” overseas. As shown in our next chapter, there are ample reasons to speculate that this “quick reaction force” could eventually be used to “fire upon U.S. citizens who refuse or resist confiscation of firearms banned by the U.S. government,” as the Twentynine Palms survey suggested. –The Washington Post reported on August 15, 1994 about a new type of “peace maneuvers” for Army regulars at Fort Polk, Louisiana. Part of the training called for Army units to “disarm the militia” while being observed by British and French officers playing the role of UN observers. –In November 1994, Secretary of Defense William Perry approved a plan to employ military reservists to carry out the growing number of non-traditional missions assigned to our armed forces. According to a report in the New York Times, the plan would have “many of the one million members of the National Guard and Reserves of the various armed services spend their annual training time performing real operations, including peacekeeping missions overseas….” Army Chief of Staff General Gordon R. Sullivan (CFR) said he was “very supportive” of the idea. Missions involving peacekeeping are, of course, UN missions. –One week after the 1994 Republican election-day sweep, incoming House Armed Services Chairman Floyd Spence (R-SC) revealed that “wholesale categories of combat units are in a reduced state of readiness.” Secretary of Defense Perry reluctantly agreed with Spence’s charges and added that the U.S. military’s participation in overseas UN missions had forced defense officials to divert funds originally earmarked for training of stateside units. But Army Chief of Staff General Sullivan told the Boston Globe during a November 28th visit to Harvard University that he wasn’t concerned about the readiness of the troops under his command. Two days later, however, President Clinton was forced to address this serious decline as he proposed a $25 billion increase in the Pentagon’s budget. General Sullivan seems to care only about the readiness of troops serving the UN’s interests. The country might be better served if he retired. Americans have ample reason to be proud of our country’s military history. Numerous uniformed giants have served the nation well, especially when allowed by the President to do their jobs properly. Also, many Presidents themselves proudly wore the uniform of our nation before ascending to the highest office in the land. But like so many other changes in America, the White House is occupied today by a remarkably different kind of Commander in Chief. That letter, along with a 1992 affidavit submitted by Holmes and additional evidence unearthed during the 1992 campaign, show that Mr. Clinton: a) used dishonorable means on several occasions to evade the draft; b) likely committed a felony in the process; and c) repeatedly lied about what he had done. But because he later became a committed CFR member, his disgraceful conduct was swept aside after it had been discovered, and he became the President of our nation. After he entered the White House, Bill Clinton filled his Administration with individuals having a similar “loathing” for the military. In late January 1993, only days after the new Administration took office, Lieutenant General Barry McCaffrey, an assistant to the chairman of the Joint Chiefs of Staff, offered a pleasant “Good morning” to a young female Clinton aide on the White House grounds. She promptly rebuked him and told him that her personal policy was not to talk to anyone in a military uniform. What an outrage! General Campbell was fined, demoted, and forced to retire. But nothing he stated could be denied. Having a man like Bill Clinton in the White House has taken a significant toll on the morale of those who serve. Nor is the office of Vice President in better hands. As a student at Harvard, Al Gore wrote to his father, then a senator from Tennessee, to express the view that the national aversion to communism was “paranoia,” “a psychological ailment,” and “national madness.” He characterized the U.S. Army as an example of “fascist, totalitarian regimes.” He later served in the Army on the way to a political career. The new world order is precisely where our nation is being taken — a redesigned world where the United Nations will reign supreme. Wherever they can, the President and his team will assign our military to the United Nations. They are serving a conspiracy the ultimate goal of which is to create a UN-led world government led by a powerful few. The rest of mankind is slated for slavery — or extinction. But keeping our nation independent and retaining full U.S. control of our own armed forces isn’t just a nice idea, but an absolute necessity. Many more committed Americans are needed in the fight to block the sinister plans unfolding right before our eyes. The first goal of anyone who wants to “take our country back” must be sharing sufficient information with fellow Americans to have them bring about a change in Congress. The nation sorely needs an influx of elected officials who are uncompromising Americans fully committed to their oath to the U.S. Constitution. A majority of truly informed and determined Americans in the House of Representatives alone can put a stop to the betrayal of the military, and of the nation itself. This book has been written in hopes that many more Americans will be energized to accomplish such a goal. There is no alternative to rescuing our nation from the clutches of the Conspiracy that has, for too long, been advancing steadily toward its malevolent objectives. Please read on as we supply the details about the plot to sacrifice American sovereignty on the altar of the United Nations. In 1979, Los Angeles became the first “sanctuary city” although the term for thumbing one’s nose at federal law wasn’t in use. L.A.’s Special Order #40 stated: “Officers shall not initiate police action with the objective of discovering the alien status of a person. Officers shall not arrest nor book persons” for violating the federal law against illegally entering the United States. In July of this year, a gunman killed 32-year-old Kathryn Steinle as she walked with her father along a tourist-friendly pier in San Francisco (Photo from Flickr by torbakhopper, some rights reserved). Since then, more than 200 cities or counties have followed that lead and the term sanctuary city, or county, has worked its way into common use. Among other cities defiantly ignoring the federal mandate calling for detaining and deporting illegal entrants are Washington, New York, Philadelphia, San Francisco, Houston, Salt Lake City, Chicago, Minneapolis, Miami, Baltimore, Seattle, Portland, Detroit, Denver, San Diego, Albuquerque, and Oakland. In these locales, city employees (including police) are not permitted to ask detainees about their immigration status. In 2009, the murder of a restaurant waitress in Albuquerque drew attention to the matter. Three illegal aliens were thought to have committed the crime. Before that murder, the three should have been detained and deported. But they weren’t because sanctuary city policy was in operation. Nothing changed. In July of this year, a gunman killed 32-year-old Kathryn Steinle as she walked with her father along a tourist-friendly pier in San Francisco. The only suspect for the killing is Juan Francisco Lopez-Sanchez, an illegal immigrant who had already been deported five times to Mexico but who was back in the sanctuary city of San Francisco. Three months before the murder of Steinle, San Francisco authorities detained Lopez-Sanchez for peddling drugs. U.S. Customs and Immigration Authorities (ICE) sought him but the city’s officials released him because their sanctuary city policy took precedence. County Sheriff Ross Mirkarimi’s decision to bow to this policy rather than to federal law has now cost him his job. On November 2, voters overwhelmingly cast their ballots for a new sheriff. But San Francisco’s sanctuary city policy remains. In this instance, replacing a sheriff isn’t enough. Presidential candidate Hillary Clinton condemned the failure of San Francisco authorities to turn Lopez-Sanchez over the federal authorities earlier this year after a previous arrest. But one day later when the murder of Kate Steinle was still in the news, Clinton’s campaign officials declared her still in favor of the sanctuary cities policy. They issued a statement claiming, “Hillary Clinton believes that sanctuary cities can help further public safety, and she has defended those policies going back years.” Like Barack Obama, she obviously intends to do little or nothing to put an end to cities defiantly ignoring federal law. No sensible person doubts that the U.S. has a “border problem.” More than 10 million aliens have illegally entered our nation. By doing so, they have broken U.S. laws and little has been done to stop the on-going invasion. Meanwhile, sanctuary cities continue to receive federal aid in various forms. If shoveling money at defiant cities isn’t terminated, neither will there be an end to sanctuary city defiance. In years past, nullification of distasteful law has been employed, even by states seeking to void mandates believed to be unjust. But nullification was always employed with knowledge that there might be consequences. To date, no consequences have followed in the wake of cities and counties defying federal law. And the U.S. Congress has even entertained new laws to enforce laws that are being ignored. The United States is unraveling before our eyes. Let’s hope that there won’t be any more Kathryn Steinle tragedies before we welcome the end of the sanctuary city craze. The civil war to oust Syria’s Bashar al-Assad is now in its fourth year. No end is in sight. American planes have bombed selected targets in Syria and nothing changed. President Obama has seven times insisted that he would not order U.S. ground forces into the fray. “No boots on the ground,” he repeatedly stated. But that just changed when he decided to send 50 of our nation’s Special Forces into the war-torn country. Will they be outfitted with sneakers instead of boots? We are told they are not supposed to participate in any battles, just play an advisory role. What happens when any of the 50 Special Forces get killed or wounded? The likely outcome of such a development would be sending in more U.S. troops. At least three factions are seeking to replace Assad. One is backed by Russia, another is allied with ISIS (already controlling a sizable portion of the country), and still another consists of Syrians fed up with Assad. American planes have already made at least a thousand bombing runs against factions not approved by our leaders. There could easily be an air war over the country if Russian planes and U.S. planes bomb the other’s favored group. Will the mess escalate into a conflict between the U.S. and Russia? Meanwhile, the Obama promise to withdraw all U.S. forces from Afghanistan has been cancelled and 10,000 will remain. Elsewhere, our intervention in Libya has been a disaster. Also, U.S. drones have wreaked havoc in Yemen with nothing to show for the effort except death and destruction for Yemenis. And Iraq remains in turmoil after all the lies about weapons of mass destruction spurred President G.W. Bush to invade. The American people ought to be asking why previous failed policies in several countries are being repeated in others. We can only hope that the Obama policies will become a serious debate topic during the current presidential race. All of the actions noted above constitute war. But the U.S. Constitution clearly places sole power to have the U.S. at war in the hands of Congress, not the President. Yet UN authorization here and NATO (a UN subsidiary) direction elsewhere have been employed to have our forces go to war. Questions have to be asked: Is our nation’s military effort being dictated by the world body? Is Mr. Obama quietly seeking or receiving orders from the UN to dispatch U.S. forces in limited roles all over the Middle East? One or more of the GOP candidates should be asking these questions. Let’s hope they do so.